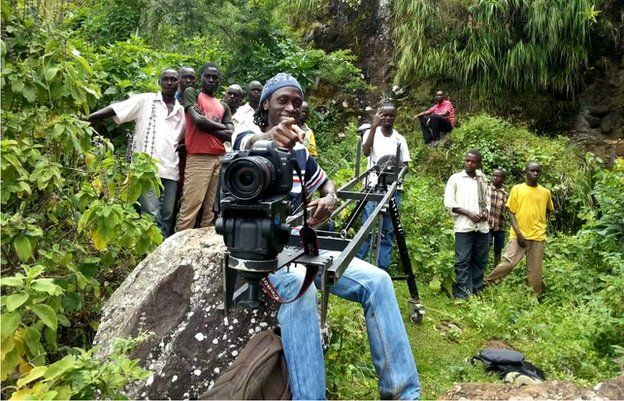 Isaac Oboth of Uganda was no stranger to misfortune when he became a young entrepreneur in producing videos. Orphaned by the age of seven, Isaac depended on his brother to be his sole provider until he lost his job when Isaac was just 16. Faced with this reality, Isaac, who is now 26, started selling a Ugandan snack called rock buns as a way of supporting himself and his brother. He proceeded to dabble in other activities, but eventually turned to digital media when it was time for his high school senior class to order an alumni album. This move was the first step in making him one of Uganda’s most successful young entrepreneurs. Upon finishing school, Isaac was in charge of ordering the photo album for his senior class. He decided to order a digital photo album to keep prices down for the students, and was shocked at its poor quality. However, he found that the high demand for such products led many people to overlook their high prices and poor quality. This led him to the idea that he could do it better; and so began his venture into digital media. Isaac started by teaching himself how to use the equipment he would need to rent in order to start his business. To help with the business aspect of the venture and generally separate responsibilities, he found a partner in childhood friend Henry Ngonzi. Isaac started out watching instructional videos in internet cafes and using rented equipment. Steadily, the team went from teaching themselves how to create digital photo albums to creating videos. Isaac founded Media256 in 2010 and has never looked back. The company’s first big success was landing a deal to produce a film for Ethiopian Commodities Exchange. From there, Media256 expanded even more after Isaac convinced Coca-Cola to allow his company to create an advertising film for them after seeing the quality of their existing videos. Isaac offered to create a video for feedback, free of charge. This venture became a huge success, as Coca-Cola approved of the film and proceeded to create other contracts with Media256. This included assisting in the launch of Coca-Cola’s 2012 African manifesto. Media256 filmed a video which portrays different images around Africa to promote the slogan, “A billion reasons to love Africa” in the Internal Launch Video. The dealings with Coca-Cola were a great success, and facilitated the growth of the company to produce other kinds of videos. Media256 now produces videos for weddings, advertisements, documentaries, and more. In the five years that Media256 has been in business, the company expanded and became a standard of video production in Uganda. The company now boasts such clients as United States Agency for International Development, the United Nations Development Programme, and the African Leadership Network. Perhaps the most impressive aspect of the Media256 is the fact that Isaac and several employees are self-taught. From learning how to edit videos in an internet café, Isaac has created a hugely successful business that continues to expand. The innovative ways that Isaac started and grew his business earned him a spot as finalist for the 2012 Anzisha Prize for African entrepreneurs. While Media256 enjoys huge success, it is not without several challenges. In an interview with Ugandan newspaper, the Daily Monitor, Isaac explains that finding the right talent to join the team poses a challenge to the company. Isaac says this is largely due to the fact that “Uganda’s education system does not equip one with the right skills for the field”. This leads to graduates finding work in industries that may not be related in any way to what they studied. Still, it seems that Isaac is prepared to take on the challenge. With his expanding business, he has several more pursuits that he intends to make reality. As Isaac told CNN, he intends to create an “African HBO”. 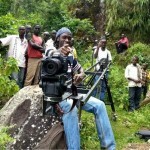 He plans to do this by expanding the reach of Media256 throughout Africa, while maintaining roots in Uganda. Isaac’s pride in his country is symbolized by the number 256, the Ugandan country code, affixed to his company name. Secondly, Isaac wants to progress towards creating original productions. Media256 is currently reaching toward that goal by producing the Discover Uganda television series, which highlights life in Uganda (a teaser video for the first season can be seen on vimeo). Above all else, Isaac wants to realize his goal of competing on the world stage from within Africa and also demonstrating to the world the different sides of the new Africa through his original productions. In this sense, Isaac is well on his way to achieving his goals. Isaac and Media256 set an example of what can be done with a little determination and willingness to commit to an idea. Now, it seems the entire of Uganda and Africa in general are waiting to see what Media256 will do next.